GROWTH is seen to be slowing. Earlier, Bank Negara lowered Malaysia’s economic growth forecast for 2018 to 5% from its earlier estimate of 5.5% to 6%. Be­tween 2018 and 2020, economists are expecting gross domestic product (GDP) growth to be in the range of 4.5% to 5.5%, against the ear­lier fore­cast of 5% to 6%. Amidst tightening measures and unfavourable external factors such as a full-blown trade war, ensuring a stronger SME sector is crucial in strengthening the economy. As part of its efforts to strengthen sectoral growth and structural reforms, encouraging SMEs to move up the value chain will be among the government’s key focuses to support economic expansion for the remaining part of the 11th Malaysia Plan (11MP) from 2018-2020. The government intends to increase export capacity, improve market efficiency and facilitate the ease of doing business as part of its strategies for reforms. These will include measures to accelerate the modernisation of economic sectors, increase export readiness and internationalisation, promote fair competition as well as improve regulatory and trade practices. Entrepreneur Development Minister Mohd Redzuan Yusof has plans to boost SME contribution to GDP to 42% next year from the current 37%. SME Association of Malaysia president Datuk Michael Kang welcomes this focus. “We hope the government can provide a more business-friendly policy, especially in human resource development. We need to make it easy to do business here and increase efficiency and transparency in government service. “This can help reduce the cost of doing business (in the long run). We need to have better competitiveness and be business-friendly,” he says. Kang hopes to also see this support for SMEs in the tabling of Budget 2019 on Nov 2. “Although the government has said that it is going to be a tight budget, we hope that there will still be a good allocation to SMEs especially in the area of export. The Market Development Grant (MDG) has been particularly useful (and we hope there will be more of that). Export contribution by SMEs is still low at the moment, so there is definitely room to grow,” he says. Another item on his budget wishlist is incentives to help SMEs reduce their reliance on foreign labour. “There needs to be incentives in the area of automation and in skills training. SMEs are looking into ways they can go forward with automation. But cost of automation is still a challenge. And they need guidance on how to go about it,” Kang adds. He is also proposing three years of tax free incentives for startups and e-commerce businesses to help new companies shore up liquidity in the early years. This will help them invest in technology and innovation to build and boost their business. 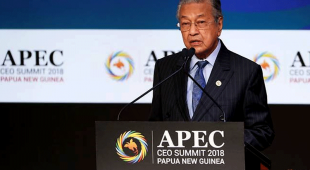 However, the Federation of Malaysian Manufacturers (FMM) emphasises that all direct tax incentives that will be tabled must come with minimum red tape to support, not only new, but also existing businesses in their efforts to expand, upgrade and diversify. There needs to be greater certainty and transparency in direct tax benefits, says FMM president Datuk Soh Thian Lai. Manufacturers are generally positive, albeit cautious, about the outlook for the remainder of the year amid the downside risks in the global economy. According to the FMM–MIER Business Conditions Survey 1H2018 released on Aug 23, about 40% of manufacturers surveyed were looking forward to an improvement in business conditions. Meanwhile, 44% foresee no change and 16% expected further deterioration. “Expectations are looking up for business conditions, sales, production volume and cost, and capacity utilisation. Hirings are expected to remain stable for the rest of the year, likely due to anticipation that the minimum wage is set to be adjusted higher soon,” says Soh. However, manufacturers, both small and large, are expecting production costs to increase. In the survey, 52% of the respondents believed that their production costs would increase in the second half of 2018. Among their concerns over the next year are to upskill workers, reduce operating costs, seek new markets, introduce new products and services as well as step up productivity training. “For SMIs (small and medium industries), the emphasis over the next 12 months is to be more efficient in using their existing resources which include upskilling workers and their productivity, reducing operating costs, and managing pricing to remain competitive. Concurrently, they are also seeking new markets for existing as well as new products and services. “For the larger companies, the emphasis is more towards improving production efficiency through reduction in operating costs and higher capacity utilisation by increasing production. 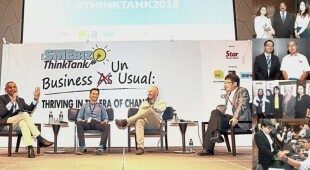 Nevertheless, large companies are also upskilling workers and their productivity as well as introducing new products and services as a business strategy,” says Soh. One of the issues that has been plaguing SMEs in recent times is the lack of available foreign labour. “The foreign labour policy is still unclear. So a lot of SMEs are facing manpower shortage and are finding it hard to fulfil orders. So they need to automate. But they can’t do everything at once. So they are starting with mechanising, going online and increasing use of ICT. It has to be step by step,” Kang explains. The government has made mention of the need for manufacturers to adopt Industry 4.0 related technologies to remain competitive in the global value chain. Harnessing the potential of Industry 4.0 will provide new business and wealth creation opportunities. To enable a conducive environment for the adoption of such technologies, FMM hopes to see incentives that will enable and support the industry for further expansions under Budget 2019. These incentives should encourage investments in R&D and innovation, improve productivity and efficiency as well as upskill workers. Some of the tax incentives proposed by FMM is the removal of the time bar on the 2016 Budget extended reinvestment allowance (RA) for three years which will expire in 2019. It says the RA has been well received as it helps existing manufacturers improve competitiveness and productivity through continual upgrading, expansion and diversification. Extending the reinvestment period beyond three years would accrue real benefits since companies reinvest continuously at different times. Similarly, it hopes the time bar on the capital allowance on automation expenditure will be removed or extended for 15 years as the validity period for the capital allowance from 2017 to 2020 is too short. “Automation is long-term, requiring substantial investments according to resources and capacity. Industry 4.0 also requires automation to be integrated for maximum effectiveness,” it says. Additionally, it hopes the qualifying expenditure for this incentive can be increased to RM10mil. It adds that there is also a need to promote and support the growth of local companies that are manufacturing robots through tax incentives like pioneer status, tax free income for the first five years and preferential tax rates at 50% of the prevailing rate for the next five years. This will further support the country’s progress into Industry 4.0. FMM is also proposing tax credit on cost of new machinery and equipment contributed by companies to local technical institutions and skills development centre as well as double tax deduction for course fees on certified and professional programmes at local technical institutions paid by companies without using their HRDF levy. Also, it notes that tax deduction for companies that are implementing waste minimisation, recycling and water conservation activities would contribute to the sustainable development agenda. “While it appears that there is an impact on tax collections, these proposals would result in medium and long term business expansion which would in turn generate economic growth income and better job opportunities. 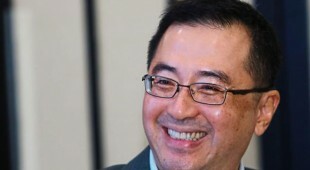 It would also help the government achieve the aspiration of upgrading and innovation,” Soh says. For the remaining period of the 11MP, the manufacturing sector will continue to be transformed towards producing more high value-added, diverse and complex products. The catalytic subsectors – the electrical and electronics, machinery and equipment as well as chemicals and chemical products – would remain as priority subsectors, the government said. The manufacturing sector is expected to grow 4.5% per year from 2018-2020, after growing at an annual 5.2% from 2016-2017. The government also noted several elements that needed attention to aid SMEs to continuously enhance capacity building and accelerate technology adoption to grow at a faster rate and expand market outreach. These include enhancing quality infrastructure and efficient utilities, integrating different transport modes, strengthening logistics and trade facilitation and improving digital infrastructure. Soh adds that it is also crucial to expedite the setting up of a single Technical Vocational Education and Training (TVET) champion agency to overcome fragmentation, standardise training and qualifications and for cost effectiveness. As competition continues to heat up, there have been increased calls for SMEs to look at the export market. 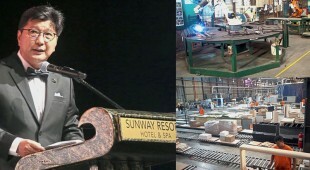 Malaysia Entrepreneurs’ Development Association (PUMM) honorary treasurer Datuk Billy Goh said SME export achieved a higher growth of 7.9% last year, resulting from manufacturing products such as electrical, electronics, palm oil and rubber. Increasingly, the adoption of e-commerce among SMEs has also helped to widen their market across borders. Malaysia External Trade Development Corp (Matrade) says e-commerce adoption among Malaysian SMEs is expected to grow 50% by 2020 from 32% in 2016, driven by the sector’s interest in online business. Among factors that can drive exports of SMEs through e-commerce are improved productivity, building of capabilities, larger customer base, and lower operating costs. 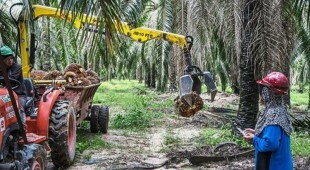 However, there is still room for growth in the domestic market and Soh urges the government to look into its own procurement policy to encourage growth of local suppliers. “Strengthen domestic demand and market by enforcing ‘Buy Malaysia-made’ in government procurement activities including government development and mega projects to reinforce support and confidence in locally manufactured products. 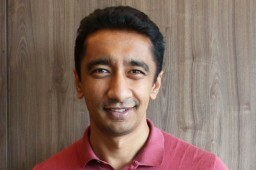 Buying local could also provide cost savings in government procurement,” says Soh. Recently, the Domestic Trade and Consumer Affairs Ministry also highlighted a need to have more shelf space in local hypermarkets for products made by Malaysian SMEs. “Currently, about 20% of products at hypermarkets are from SMEs and we need to increase efforts in order to achieve our target of 30%,” said Minister Datuk Saifuddin Nasution Ismail. He said the ministry is committed to help SMEs upgrade the quality of their products to become more competitive and marketed at top hypermarkets. “Hypermarkets are big-name establishments and therefore are more fussy when it comes to what products they choose to sell. “Therefore, I encourage SMEs to work hard to upgrade their products until they tick off all the prerequisites imposed by hypermarkets. 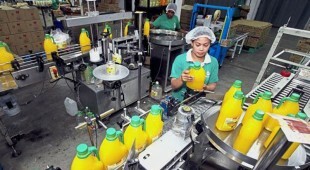 The ministry, at the same time, will urge hypermarkets to be more accommodating and help SMEs out,” said Saifuddin. Kang is hopeful that the new government will be able to roll out appropriate measures that will bring their strategies to boost SMEs to fruition. “The previous government was focused on SMEs. But the implementation didn’t go down to the ground. The current government, on the overall, have been trying to increase efficiency and transparency. We hope this will provide a business friendly platform,” he says. “But we want to also see how SMEs can work with the government to develop the country’s economy. We can’t just be demanding for what the government should do for us. So we want to see how we can build businesses and grow the economy. And having a business-friendly policy and better government delivery system are important for that,” adds Kang. “The government needs to ensure a business-friendly investment climate and policies by reducing the unnecessary regulatory burden to address the threat of premature deindustrialisation. We need a friendly regulatory environment with simple, more transparent, reliable, easy to comply, consistent and fair regulations,” adds Soh.